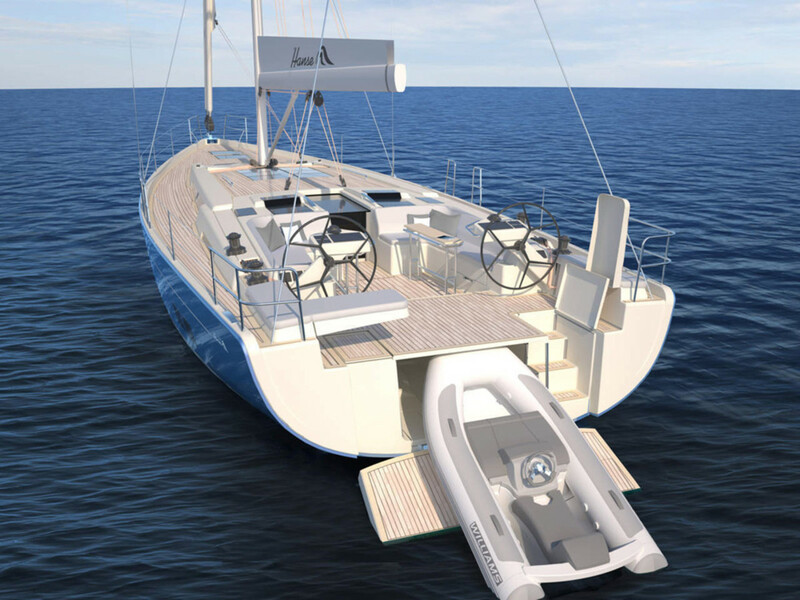 Hanse Yachts will debut its new Hanse 588 at the Sept. 6-11 Cannes Yachting Festival. Hanse Yachts built the new 588 with this dinghy garage designed for a Williams Tender 280. The mast height of the 56-foot sailboat is about 85 feet, and the sail area is 157 square meters with a self-taking jib or 208 square meters with a reacher. The cockpit comes with the option of a barbecue bar with an integrated grill, sink and freezer. The yacht also has an optional T-top with built-in spots and an entertainment system. The yacht comes with 72 possible layout variations.